The artist has an unheimlich descendant. 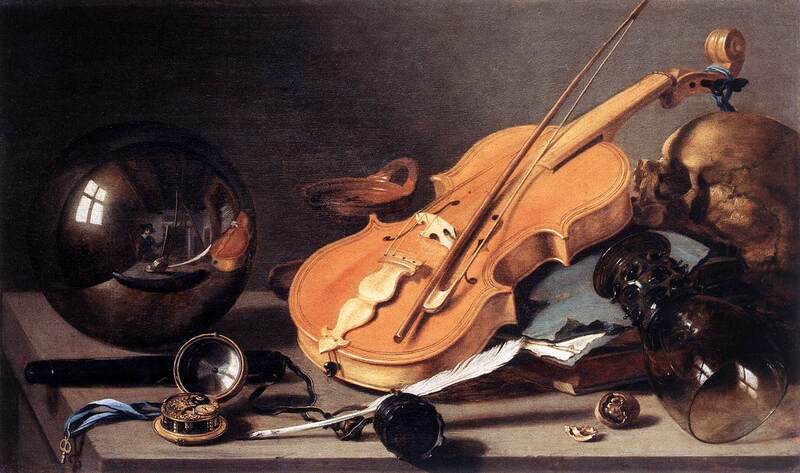 Three hundred and sixty-six years before Hugo Williams’ ‘Last poem‘, Pieter Claesz‘s Vanitas with violin and glass ball (ca 1628) combines a classic Dutch seventeenth-century vanitas with a self-portrait. 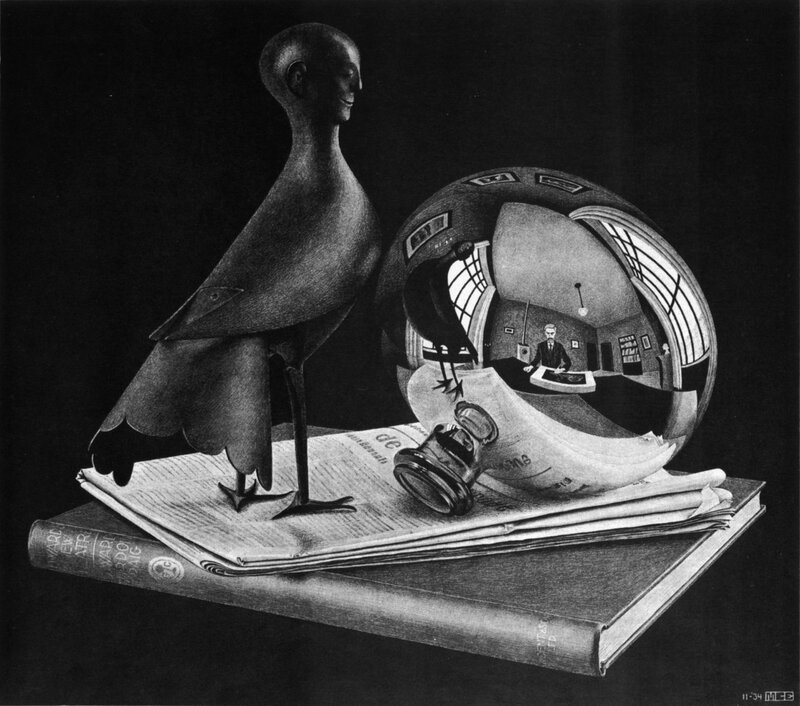 The artist at work can be seen in the glass ball, which flaunts Van Eyck and Parmigianino‘s convex mirrors amongst its notable predecessors, and claims a Still-life with a spherical mirror (1934) by M. C. Escher, the drawing Dutchman, as its unheimlich descendant.